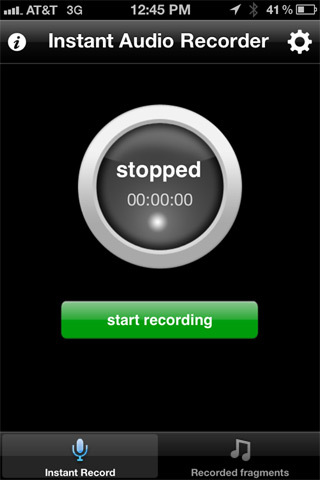 I am excited to present this new iOS app called Instant Audio Recorder created by Wim de Nood. 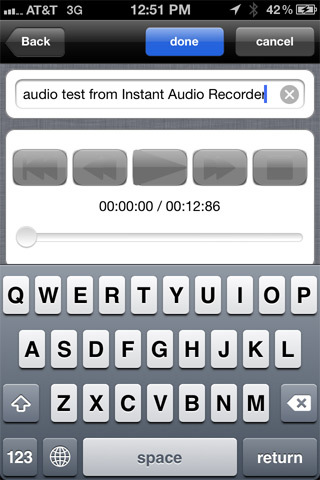 IAR has some great features for capturing audio and sharing it on Chirbit and Twitter. Extended playback options (pause, rewind, fast forward, etc, etc). This is the recording interface. If you choose to make the app auto record then as soon as you launch the app it starts recording and brings you to this interface. You can choose to disable this function the first time you launch the app or via the settings button. The settings button pull up this dialog box which give you the option to toggle a few features. Once you've recorded your audio you can play it back in the Recorded fragments area. You will see a list of your recordings. To share and edit your recording click your entry from the list, this will bring you into the Audio Player. 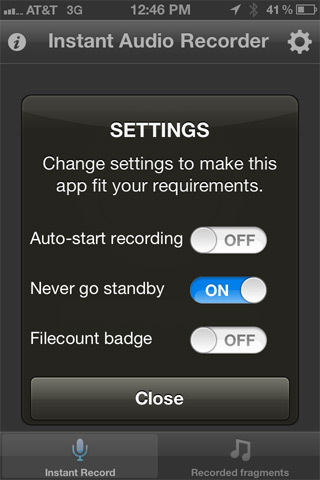 You can also delete a recording by clicking the Edit button to enter into delete mode. 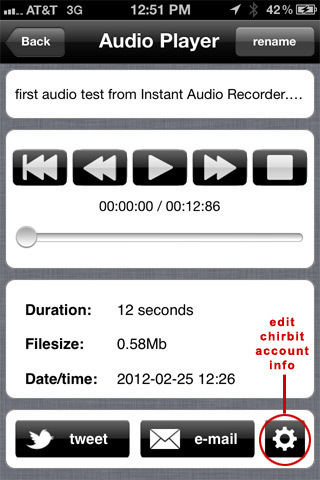 The Audio Player give you the option to share your clip via Chirbit. If you do not have a Chirbit account your clip will first be uploaded to the iar chirbit account, then a link will be posted to your twitter account. 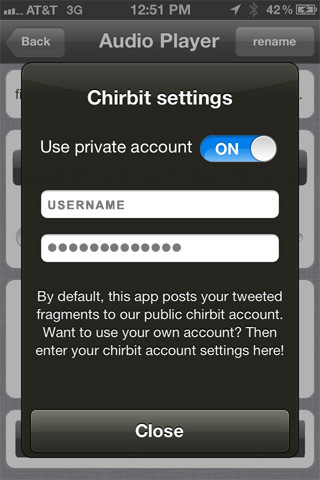 If you do have a chirbit account you can click the gear/settings icon to add your account login info. In this dialog box you can add your chirbit username and password to upload your post to your account. You can rename your recording via the Rename button.